"Calvin Logan is a native of Los Angeles, CA and currently resides in Charleston, SC. He currently has been married for 10 years to the lovely Jamelia and has three children Jasmine, Jeremiah and Prince Logan. He currently still serving in the military for 13 years and still serving today. He has been a coach and assistant teacher on his spare time for over 16 years. Calvin ... See More received his undergraduate in Business Administration from Voorhees College and graduate degree of MBA from Webster University. Currently has a TV Show called The Logan Power Show that airs on MeTv that is viewed in about 30 cities in South Carolina and spread out on YouTube. Calvin wants to see people succeed and wants to make a difference in the people he encounters. The Logan Power 5 platform is designed to allow people dreams, visions and ideas to come to the forefront. 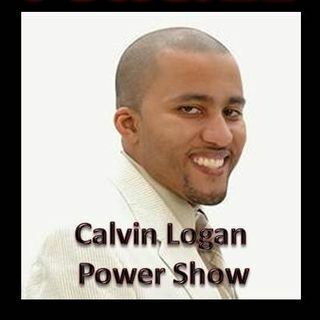 Calvin Logan is a people person that wants to be a trailblazer for the current generation and the ones afterward. His mission in life is to build people, teach the game plan to a successful life and provide assistance in helping to achieve their vision and dreams."